The king of desert, the camel, had been domesticated thousands of years ago mainly for the tedious journeys through relentless Thar Desert. The Camel Safari is one of the unique ways to explore small villages in Rajasthan, India. Camel safari on the 'king of the desert' is an exciting adventure. The camel safari shows us the fantastic times of the past, the lonely desert and the colorful and welcoming inhabitants. Climbing a camel is not as easy as people believe. It is no longer a test of endurance. The only thing to get used to when organizing a camel safari is to keep oneself in balance and become accustomed to the movements of the camel. For the inhabitants of the desert, the camel is the only major means of transport. It is a great experience to explore the Thar - a vibrant, colorful and hospitable desert. You can do a small safari through a typical Rajasthani village or a long distance expedition for several days. The best times for a trip are the cooler times of the day, such as mornings and evenings. Experience the melodies in the desert of Rajasthan. 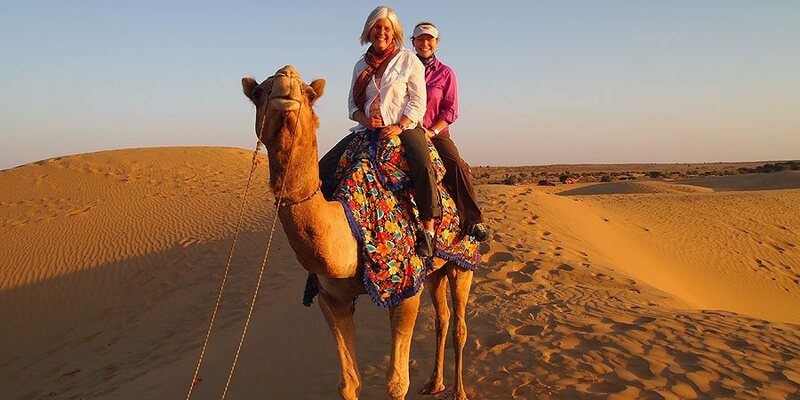 Sand dunes without vegetation, camel ride, sand dune stay in the camps, dance and traditional music, architectural monuments like forts and havelis, visiting villages to have contact with the local population, local cuisines are some of the highlights which justify the trip into the desert of Rajasthan. Popular destinations where you can plan your trip to explore the desert in Rajasthan are Mandawa, Bikaner, Jaisalmer, Jodhpur and Osian. 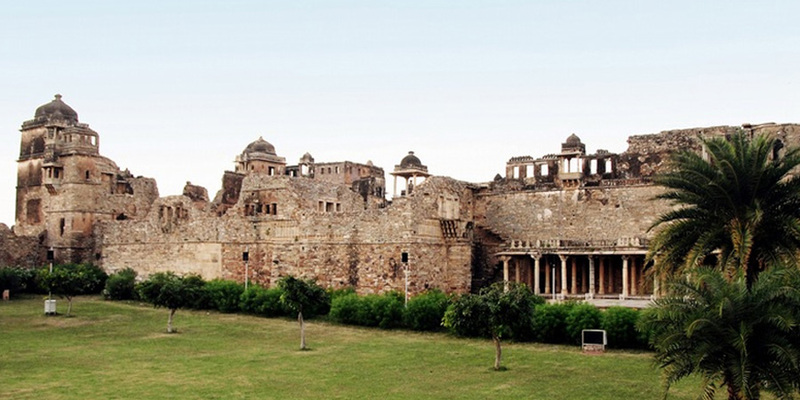 These trips into the desert can be arranged with other destinations of North India and Rajasthan. The cities located in the Thar desert have the typical Rajasthani appearance and the buildings are mostly made of red or yellow sandstone. In Jodhpur, You can do a safari in the Jeep visiting the villages of the Bishnoi community. They are known for their traditional life and their special love for nature. During your trip to Jaisalmer, Bikaner and Osian you will have an option of staying in the camps located on the sand dunes in the middle of the desert. Accommodation in the camps is accompanied by camel safari, traditional dinner with cultural performance by local artists. With Optima Travels you can also plan an expedition program in the desert on camels with the stay in the desert and also visit the isolated villages that are located in the desert. You can choose from the list of our travel itineraries to visit the Thar desert with the Taj Mahal and other tourist places of the Thar.